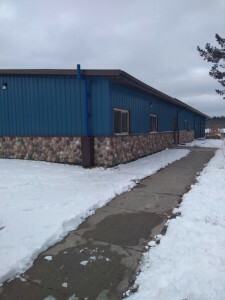 Since 1997, the Boys & Girls Club of Woodland in Neopit, Wisconsin, has been a meeting place and a resource for the Menominee Indian Reservation. Now, in an effort to strengthen the culture and identity of Menominee youth, the club is fostering art in programs and activities from dance to sports, and seeing the difference it’s making in pride, health, education and even the narrative regarding Native history. The Boys & Girls Club of Woodland began as an independent youth-serving organization in 1982 to meet a need not uncommon in Indian Country, says Executive Director Ron Corn. The youth-serving organization, which later became a charter member of the national Boys & Girls Club of America, is committed to providing right paths, with programs and activities designed to foster well-being physically, mentally and spiritually. In 2017, the organization received funding from First Nations Development Institute’s (First Nations) Native Youth and Culture Fund, which made it possible to hire a coordinator and cement programs and services that promote academics, culture, healthy lifestyles and career development. Today, the Boys & Girls Club of Woodland serves more than 600 youth in the Neopit community, including the Menominee Tribal School and the Menominee Indian Middle School. Still, a recent Youth Risk & Behavior Survey revealed that many youth in the community wanted to learn more about their culture and traditions. “I think a lot of the kids were realizing that they didn’t know who they were,” Corn explains. Learning how to make the regalia and the meanings behind it ensures that cultures and traditions of the dances can be continued. With the history of the Menominee Indian Tribe, it was understandable that this sense of heritage and identity was lost, he says. In 1954, the Menominee Indian Tribe was “terminated” through Public Law 108, which ended federal control, but also the tribe’s recognition as a tribal entity. While trust status was restored in 1973, it did not erase the centuries of displacement and assimilation experienced by tribe members. 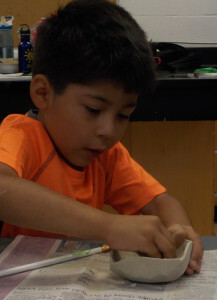 Incorporating traditional Native arts and crafts programs has always been a priority for Boys & Girls Club of Woodland. 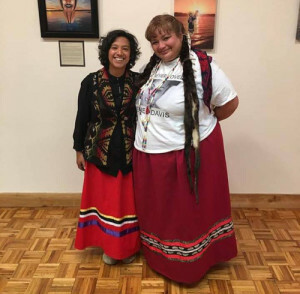 In providing that essential spiritual component, the club holds art classes and summer art camps, and leads a traditional Menominee dance troupe. Yet, in response to the survey, the club wanted to do more to elevate arts. By applying for and receiving funding from First Nations’ Native Arts Initiative, the club aimed to build on this approach and take programming to the next level. The year-long Restoring Traditional Art and Craft Project was created to increase access to and awareness of traditional Native artistic and cultural practices. It began with promoting Samantha Grignon, a youth development specialist at the club, to act as the program coordinator. 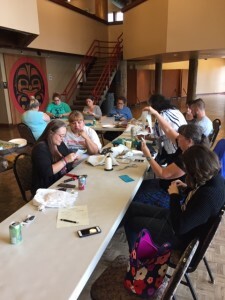 Sam set out to meet grant objectives, which involved identifying community artists to teach a constant flow of programs and classes in artistry such as basket making, beading and carving. She also moved forward plans for a gallery for artists to display and sell their work. Right away, the project showed an impact. Classes were designed with lesson plans and supply lists, and enrollment was immediately at capacity. In addition, with the support of the grant, they were able to provide artists with honorariums, which placed a value on art and thus validated the artists’ sense of self-worth. Kids are learning about their heritage as a source of identity and belonging, which is key to positive outcomes in Native communities. Another benefit came from getting kids moving in meaningful ways. One of the classes involved teaching youth how to make lacrosse balls and sticks. Corn says that for Menominee people, lacrosse is about exercise, but it’s also about healing. 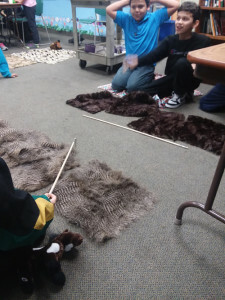 “This is our game, and there are stories about how we play it and why.” By learning how to create and carve the sticks, students not only made the game possible, but kept those stories alive. 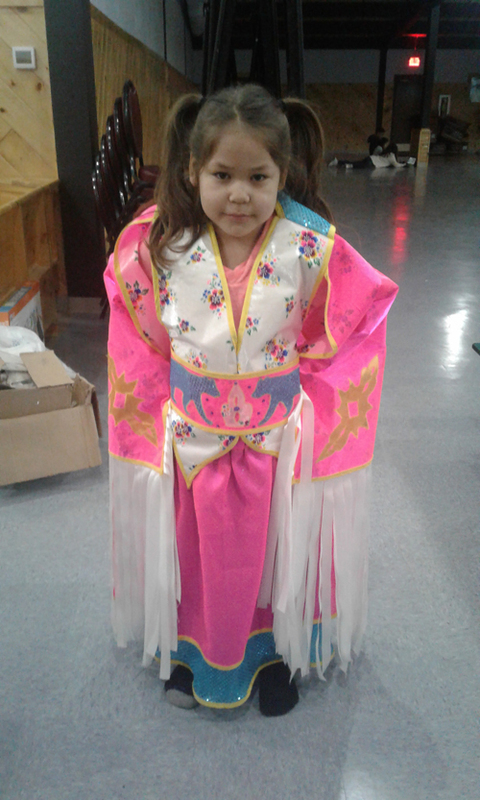 Through the grant, the club was also able to invest in a critical component of Menominee dance, which is the specially created regalia. Artisans were identified to teach youth how to bead, choose the appropriate colors based on the dancer’s clan, sew shawls and skirts, and make traditional moccasins and belts. The grant covered all the cost of materials, which removed a barrier for many families. And by learning how to make the regalia and the meanings behind it, the teaching ensured that the cultures and traditions of the dances could be continued. 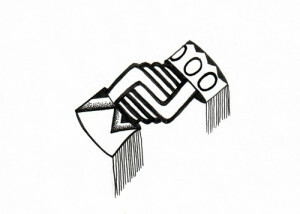 This drawing by a Boys & Girls Club of Woodland artist incorporates traditional cuffs to give the Boys & Girls Club of America logo a Native spin. The regalia has indeed enhanced these dances. It’s also resulted in another benefit project leaders didn’t anticipate: education. Leaders expected the project to promote the transfer of artistic knowledge among the Menominee, but they didn’t know the potential of art and dance in educating the students of Wisconsin. In their new regalia, the dance troupe has performed at the Wisconsin Public Health Fair and at the Indian Education Association. In November 2018, the members performed for the first time at a public high school. 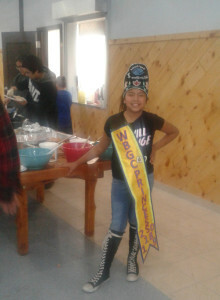 With statutes now mandating that schools in Wisconsin teach students about the history, culture and tribal sovereignty of federally recognized American Indian tribes and bands in Wisconsin, the Boys & Girls Club of Woodland is hoping the performance leads to more events, with the potential of being an important part of Wisconsin school curriculum. 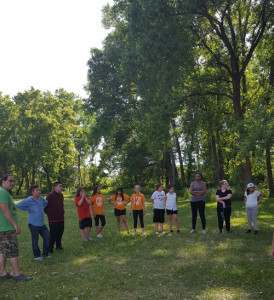 From a facility in Neopit, Wisconsin, the Boys & Girls Club of Woodland is planning and implementing positive activities and safe spaces for Native youth. Corn says the club is grateful to First Nations for encouraging it to discover what art could do for the community. 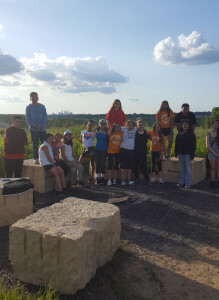 Through the funding, experience and knowledge of First Nations, the Boys & Girls Club of Woodland has been able to bolster its academic, physical and spiritual programming. The club is sharing cultural knowledge that kids have asked for as they seek that sense of belonging. It is restoring the functional quality of art in the creation of sports equipment, and bringing back the ceremonial purposes of art in the designing of the regalia. Moreover, the club is realizing its role in sharing art, culture and history with the people of Wisconsin. 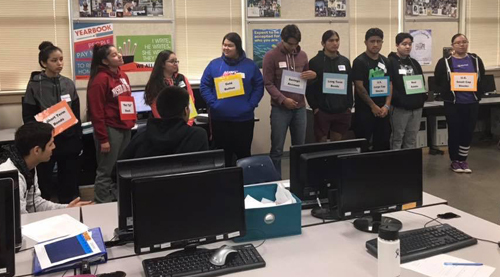 Lapwai High School seniors learn asset classes, risk and other investing concepts in November 2018. What goes up must come down. That’s the angst facing many investors in recent months as the longest bull market in U.S. stock market history appears on edge. This past fall, students in Lapwai, Idaho, got a taste of this angst by experiencing what investing pros call volatility, or what some might call a wild roller-coaster ride! 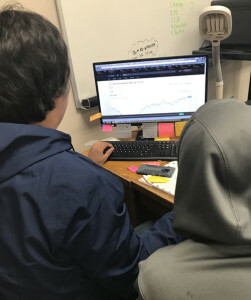 The senior class at Lapwai High School, Home of the Wildcats, competed in an eight-week online investing simulation known as The Stock Market Game (SMG), a national program designed to teach young people how to invest in stocks, bonds and mutual funds. Students were separated into 13 teams that faced 65 other teams from high schools throughout the state. Each team started with $100,000 in fantasy cash and managed their portfolios as part of an economics class. 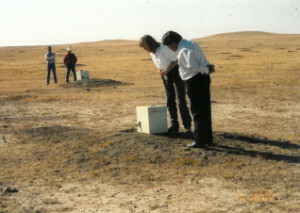 The Lapwai SMG project was made possible by support from Nimiipuu Community Development Fund, a Native-led community development financial institution that serves the Nez Perce Tribe and traditional areas of Idaho, Oregon and Washington. A First Nations Development Institute (First Nations) investor education consultant added technical assistance and training, with support from the FINRA Investor Education Foundation and Northwest Area Foundation. Lapwai students review their online investment portfolio in The Stock Market Game. Known for great basketball, both girls’ and boys’ teams have won numerous Idaho 1A-D1 state championships, the Lapwai Wildcats are embracing a new kind of success – investing savvy. Victoria Johnnie was a member of Lapwai’s top SMG team that ranked second in the state with a final portfolio value of $103,548. Her team’s 3.55% total return beat the Standard & Poor’s 500 Index by 9.3% for the same period. Moreover, collectively all 13 Wildcat teams finished as the state’s top-ranked school with average total equity that beat the S&P by over 6%. It’s no secret that 2018 was a tough year on Wall Street so maybe a few underperforming hedge fund managers could learn something from some super cool students in Lapwai, Idaho. Go Wildcats! The Idaho Stock Market Game competition is a program created by the Securities Industry and Financial Markets Association (SIFMA) Foundation in local partnership with Boise State University. It is offered twice annually in the fall and spring. As part of First Nations’ ongoing commitment to investor education, SMG aligns seamlessly with its efforts to financially empower Native communities. Many states offer state and regional SMG competitions similar to Idaho. For more information on how First Nations can assist your school or youth group with innovative investor education solutions, please contact First Nations Investor Education Consultant Shawn Spruce at agoyopi@gmail.com. 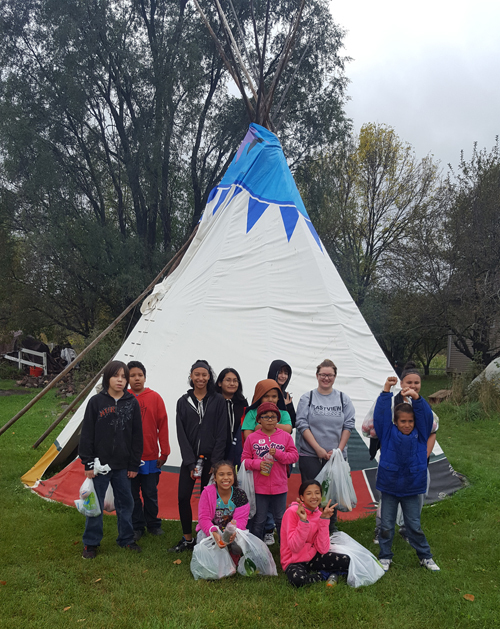 The Cheyenne River Sioux Tribe is a recent recipient of a First Nations Development Institute (First Nations) Mapping Ecological Stewardship Opportunities (MESO) grant, a project that is generously supported in part by the Margret A. Cargill Philanthropies. The grant supports the tribe’s work with the national black-footed ferret recovery effort. Tribal chairman and staff at ferret release in 2000. 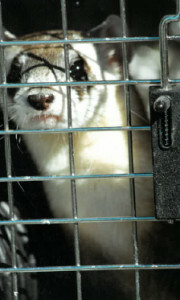 Caged captive bred ferret before its release. As Claymore indicated, this effort has not gone unchallenged. The ecosystem that supports the development and preservation of the black-footed ferret relies heavily on the preservation of their main food source, the prairie dog. In a ranching community, preserving prairie dog colonies is a counterintuitive process, as the prairie dogs create unwanted obstacles for grazing livestock. The Cheyenne River Sioux Tribe Prairie Management Program works to educate farmers and ranchers on the importance of the prairie dog populations for the sustainability of the ecosystem and preservation of the traditional black-footed ferret communities. In addition, it has been a challenge to overcome the requirements of a conservation easement to protect the 5,000 acres for the habitat. There is also the ongoing issue to prevent the spread of plague through flea infestations. The current treatments have proven ineffective, and the fleas ultimately become resistant to treatments. There is a cost to running experiments on insecticides, and flea eggs can survive in the ground for 10 years. 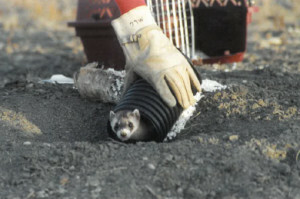 Captive bred ferret being released into burrow in 2011. The voluntary introduction continues for the most-endangered mammal in North America, the black-footed ferret. The tribe’s participation in this national effort reinforces Lakota traditions and demonstrates that the tribe is working cooperatively with the federal government to implement agreements under the Endangered Species Act. Recognizing the importance of positive activities and role models in children’s lives, Dr. Faber started asking more questions and ascertaining interest in the community. 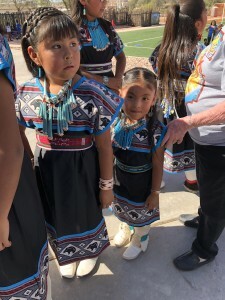 From there what developed was a long-standing 501(c)(3) nonprofit organization committed to providing healthy summers and healthy futures for Zuni children, backed by the values and traditions of the Zuni culture. This three-part feature (with installments in this and the next two newsletters) tells the story of the Zuni Youth Enrichment Project, its mission and programs, and how it has fostered relationships and leveraged funding to grow from hosting one small camp to becoming an artistic landmark and a formal hub for the Zuni artist community. The Zuni Youth Enrichment Project (ZYEP) was developed for children, in an environment where youth services were both lacking and needed. The Zuni Pueblo main reservation in New Mexico lies 150 miles west of Albuquerque on 450,000 acres, making it the largest of the 19 New Mexico Pueblos. According to a community profile, the poverty rate here is over 35 percent, more than double the 12.3 percent national rate, and half of all households have children under the age of 18. As a Native community, the people of Zuni Pueblo face challenges common in Indian Country. The Indian Health Service reports that American Indians continue to die at higher rates than other Americans due to issues including homicide, diabetes, chronic liver disease and suicide. And according to the National Congress of American Indians, over the last 10 years, Native students have been the only population to show no improvement in reading or math grades. In addition, they experience some of the lowest high school graduation rates – in many states less than 50 percent of Native students get a high school diploma. At the same time, Zuni Pueblo is in a position to counter these challenges by drawing from its rich heritage. Zuni Pueblo is one of the longest continually inhabited areas in North America, and Zunis have lived in the area for thousands of years. Seventy-five percent of the community speaks the Zuni language and the whole community recognizes and celebrates Zuni holidays. Dr. Faber recognized that nurturing kids’ identity as Zuni youth would go far in fostering pride and confidence in who they are. It would give them a sense of belonging and heritage that could offset the negative impacts of poverty, obesity, diabetes, substance abuse and youth suicide. He began by reaching out to the community. Was there interest? Were there roadblocks? What could be done? What developed from there was the first ZYEP summer camp in 2009. 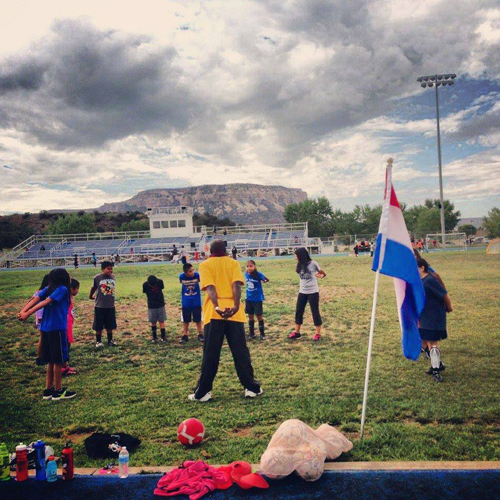 Its goals were to provide kids with safe summers where they could learn new things, make friends and have fun, but also take part in empowering and enriching activities that would connect them with the Zuni traditions. From the initial camp, ZYEP sought funding and opportunities to continue to grow, including from First Nations Development Institute’s Native Youth and Culture Fund and First Nations’ Native Agriculture and Food Systems Initiative. 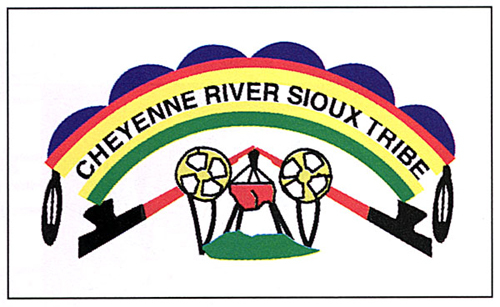 ZYEP also became a partner in First Nations’ NativeGiving.org pilot initiative, which increased the organization’s exposure and improved its development efforts. As ZYEP established momentum, it grew from having a series of summer camps to an entire programmatic approach for kids ages 5 to 18. 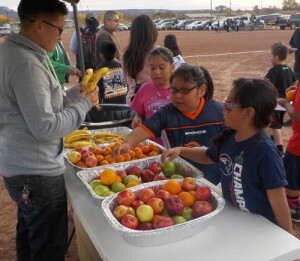 The project runs the Hoopz Youth Basketball League, which stands for Healthy Options, Organized Play Zuni, along with baseball, flag football and soccer. The project also leads after-school programs, organizes community gardens, and partnered with the Zuni Health and Wellness Coalition to create over 50 miles of walking, running and biking trails. Through all activities and programs, ZYEP has incorporated the Zuni approach. For example, youth mentors training to be ZYEP camp counselors gain special access to archeological sites and Native areas. ZYEP trails and playgrounds incorporate motivational Zuni symbols. 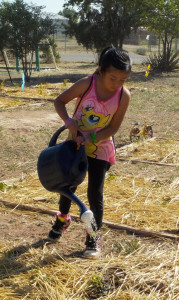 And, in the community gardens, families reconnect with Zuni practices regarding agriculture and water conservation. 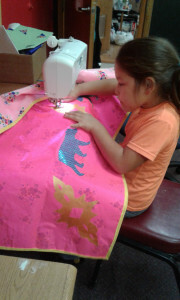 By reflecting the Zuni culture in every aspect of operations, ZYEP has created a place of pride for Zuni children. They see the resilience of the Zuni people and they learn the respect for Zuni ways and tradition, which all build confidence in who they are. It’s a mindset and pride in identity that Joseph Claunch, Ph.D, now co-director of ZYEP, knew was important since he first worked for ZYEP as a coach in 2012. “I recognized oftentimes that when our Zuni teams played non-Native schools, our kids lost confidence. We were beating ourselves,” he says. Claunch left ZYEP to pursue his doctorate in Sport and Exercise Psychology. When he returned to ZYEP in 2016, Dr. Claunch joined Dr. Faber to use what he learned to further ZYEP’s mission. ZYEP participants report making on average eight new friends and identifying three new caring adults during their sport season. 89 percent of youth participants say ZYEP is helping them live a healthier lifestyle. 93 percent of participants’ parents say ZYEP is helping improve their child’s overall health. 90 percent of parents report that ZYEP is helping their families feel more connected to the Zuni community. Further benefits of ZYEP are evident in the voices of the children it serves. For example, ZYEP participant Kelly says her educational career started at ZYEP. As a camp counselor, she would attend retreats where teens were encouraged to discuss what they wanted to accomplish in life. She says she gained inspiration and mentorship, which gave her the tools to get her bachelor’s degree in exercise science and now pursue her doctorate. “ZYEP gave me the confidence to step out of my comfort zone and to help serve others,” she says. Indeed, since Dr. Faber first began asking his patients about their summer plans, ZYEP has changed the landscape of youth opportunities. Through the years, it has built on success and opened new pathways in funding, building on the cultural strengths of the Zuni people, and improving more youth outcomes with every season. This has led ZYEP to its most recent accomplishment: A multi-purpose community center and park with an environment that elevates the visibility of Zuni culture and art. Part 2 of this series will highlight the new Ho’n A:wan Park. It will appear in the March/April 2019 issue of Indian Giver. Alexandria Harjo and Dorna Battese with the Pawnee Nation of Oklahoma. Oklahoma is no stranger to offbeat nicknames and slogans. Take your pick: Oklahoma is OK, Buckle of the Wheat Belt, Home of the International Cow Chip Throw, and my personal favorite, Be a fan of the state shaped like a pan. But this fall Oklahoma earned a new distinction that leaves those hackneyed monikers in the dust – Home of the World’s Biggest BNC Training! Miranda Marquez and James Reveles with the Cheyenne & Arapaho Tribes of Oklahoma. 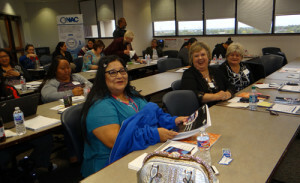 Forty-two eager participants piled into a lecture hall at Oklahoma City Community College for the largest Building Native Communities (BNC) train-the-trainer workshop ever facilitated by First Nations Development Institute (First Nations) with support from the FINRA Investor Education Foundation. 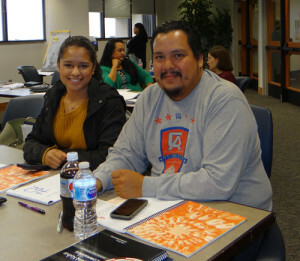 The supersized training was co-sponsored by the Oklahoma Native Assets Coalition, Inc. (ONAC), Native Alliance Against Violence, Choctaw Asset Building, Bank2, and the Choctaw Nation of Oklahoma Victim Service. The workshop, which took place October 23-25, 2018, was First Nations’ first BNC training in the Sooner State since 2012. An immensely popular financial education curriculum, BNC teaches budgeting, goal-setting and other hot topics in a Native American context using engaging lessons and activities. 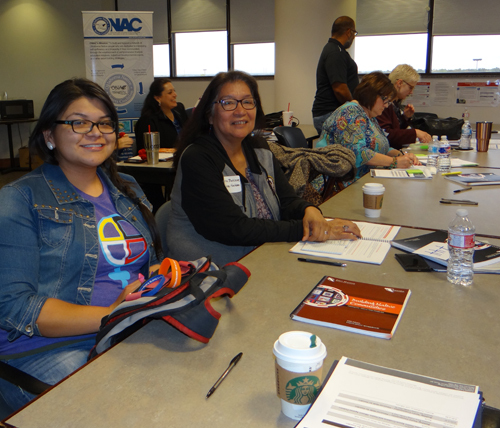 Financial education trainers and specialists working in Native communities across the country attend BNC train-the-trainer workshops to learn the latest information, enhance their training skills, and network with other providers. Darnell Day and Loretta Carter with The Office of the Special Trustee for American Indians, and Carolyn Allen. Thanks to all of our hard-working BNC attendees and partners, Oklahoma’s Native communities earn an A+ for financial education excellence! For more information about Building Native Communities: Financial Skills for Families and other financial education programs, please contact First Nations Program Consultant Shawn Spruce at agoyopi@gmail.com and visit www.bncweb.org/. To learn more about ONAC’s Native asset-building program, both in Oklahoma and nationally, please contact ONAC Executive Director Christy Finsel at cfinsel@oknativeassets.org. Kids learn how to set up a teepee. The Division of Indian Work has found that cultural instruction and recreational activities like this help reduce at-risk behavior. At the Division of Indian Work in Minneapolis, they never know whether the next young boy they meet will grow up to be a doctor, a writer or an artist. This untapped potential in today’s youth is what drives this organization, and now – with funding from First Nations Development Institute (First Nations) – the Division of Indian Work is building on its efforts to help the boys of this community change their circumstances and discover all that’s possible. The Division of Indian Work (DIW) works to empower urban American Indians in the Twin Cities and Greater Minnesota through culturally-based education, counseling, advocacy and leadership development. For much of its existence, DIW operated in partnership with the Greater Minneapolis Council of Churches, which began over 65 years ago. In 2017, DIW reorganized on its own to become a solely American Indian-led organization committed to strengthening the Native community. In line with its focus on youth and families, many of DIW’s programs and activities directly impact the lives of young men and boys. Through the grant from First Nations, DIW is bolstering these programs in ways it hopes will make a long-term difference for this urban Indian community. The project is supported by a grant to First Nations from RISE for Boys and Men of Color. RISE BMOC is a project co-led by Equal Measure, a national nonprofit evaluation and philanthropic services firm, and the University of Southern California (USC), Rossier School of Education, USC Race and Equity Center. RISE for Boys and Men of Color is a field advancement effort that aims to better understand and strategically improve the lives, experiences and outcomes of boys and men of color in the United States. RISE spans five fields (education, health, human services and social policy, juvenile and criminal justice, and workforce development) and focuses on four populations (Asian Americans and Pacific Islanders, Blacks, Latinos and Native Americans). According to DIW Executive Director Louise Matson, DIW reaches out to young men and boys to meet their needs wherever they are. Services range from the fundamental – giving at-risk boys a roof over their heads – to the more advanced – providing family leadership skills to new fathers. On tours to sacred sites, youth at the Division of Indian Work discover a sense of identity and belonging that helps them overcome challenges. In one of its most fundamental programs, DIW operates the Healing Spirit House, which provides supportive, drug-free and alcohol-free housing and in-house services specifically for Native males ages 16 to 21 who are part of the foster care system. Designed more like a home than a facility, the Healing Spirit House creates a positive, safe environment where the boys and young men do household chores and plan and cook meals. At the same time, they’re able to meet with full-time, onsite Native male staff who act as role models and help them set and meet educational and career goals. Boys in the Healing Spirit program can also join other foster care kids in DIW’s Healthy Transitions and Homelessness Prevention. This program teaches skills for living independently outside the foster care system, ensuring that young people are prepared to work and study, manage money and care for themselves in a daily routine. Through these programs and all DIW initiatives, spirituality and culture are prominent. Culture is also weaved into DIW’s additional programs that benefit young men and boys and that are focused on health and healing. There is an Alcohol, Tobacco and Other Drug Prevention Program, a Clearway Tobacco Cessation Program, and the Horizons Unlimited Food Shelf for fresh meats, fruits and vegetables. There are programs to support in-home parents and family violence prevention. 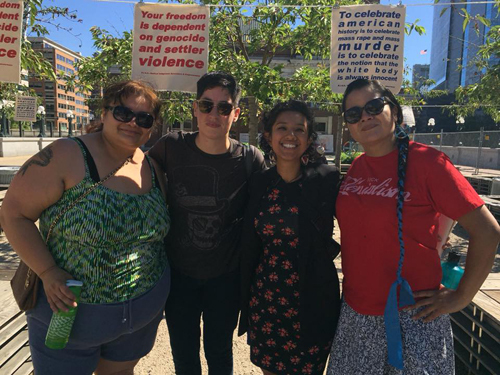 A men’s domestic violence program aims to educate Native American men about how a history of oppression has affected them personally and what that can mean to their relationships. Young boys learn more about their culture and themselves through activities like the Moccasin Game. All these programs address evolving needs in the Indian community. For example, drug prevention is expanding to combat a growing opioid crisis in the area. Programs that support in-home parents are now including more dads to show them through positive interactions what they can be doing as men in their own families. Matson asserted that a critical feature of all DIW programs is that they are asset-based and strengths-focused. She said often when it comes to addressing men, the focus is on the negative – after-incident intervention or anger management. Yet, DIW believes the emphasis should be on culture as prevention. Matson explained that challenges DIW has faced in providing these services have stemmed from the common problem of not enough funding. Throughout the organization’s 65 years, it has been fueled by government contracts, fee-based services, donations, grants and partnerships with like-minded organizations. Through the years, programs have stopped and started based on funding, and some programs have had to evolve to fit the resources available. Matson said this is why general operating funding like the kind from First Nations has been so critical in helping continue being successful. Tours to sacred sites provide an opportunity to address historical trauma, grief and loss of Indian people. “We’re getting our kids graduated, we’re making progress,” she said. Indeed, DIW impacts the lives of 500 clients every year, of which 100 are men and boys. Still she said, they can do better, and there’s much work to be done. Collection of fallen wood that will be re-purposed. In spring 2018, the Chippewa Cree Natural Resources Department was awarded a Mapping Ecological Stewardship Opportunities (MESO) grant from First Nations Development Institute (First Nations) through a project supported by generous funding from the Margaret A. Cargill Philanthropies. The Chippewa Cree grant was aimed at revitalizing the tribe’s Forest Management and Development Plans and establishing a Carbon Credit Plan. Throughout the following summer, the department successfully updated the Forest Management and Development Plan, Fire Management Plan, and began the initial steps for potential future carbon-sequestration projects. After successfully completing its initial grant proposal, the Chippewa Cree Tribe Natural Resources Department was invited for a second MESO grant. This second grant was developed to support the Chippewa Cree Tribe Forestry Department in purchasing equipment and supplies for fuel-reduction activities, conducting mapping and inventory of forest resources that contribute to revenue-generating projects, developing an outline for a sustainable harvest plan, and to complete an inventory and resource plan. 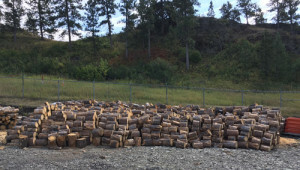 With the grant funding awarded, the Forestry Department was able to purchase a new vehicle to carry tribal workers and equipment, with a flatbed to haul large amounts of fallen wood. 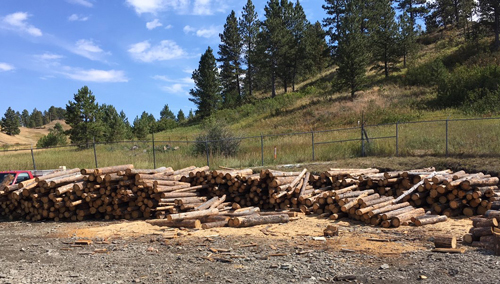 The Chippewa Cree Tribe Forestry Department has been able to clear much of the fallen wood, assisting in the management of forest floors, and providing wood to homes across the reservation in time for the harsh Montana winter season. This program helps elders who cannot afford high heating costs by supplementing their heating sources with the fallen wood. In addition, the grant supported the purchase of two tablets and vegetation geosystem software for the Forestry and Range Departments of the Chippewa Cree Tribe. Kathy Wesley, Forestry Director at the Chippewa Cree Rocky Boy Tribe, said, “These tablets and software are a wonderful addition, as this equipment is not cheap, and makes the jobs much easier working in the field.” The vegetation geosystem software and versatility of the tablets has provided the Chippewa Cree Tribe with up-to-date information on the mapping and inventory of the current forest resources, contributing to the tribal inventory and resource plans. One of the burn piles of wood. This grant supports growth within the Natural Resources Department through much-needed equipment purchases. 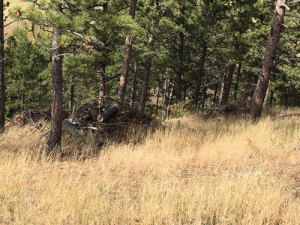 On a surface view, the vehicle purchase was able to clear the forest floors for proper management, but the benefits expand beyond the initial grant period. The Forestry Department will be able to supply homes with wood for home heating throughout the winter months. Similarly, the new vegetation geosystem software and tablets will provide accurate, up-to-date data, making the tribe more viable for future Carbon Credit Plans. “We are honored and excited to partner with the Henry Luce Foundation to support the diverse array of knowledge makers and knowledge keepers in Native communities,” said Michael E. Roberts, President and CEO of First Nations Development Institute (First Nations), when announcing that First Nations had received a grant of $1.35 million over two years from the Henry Luce Foundation to fund a fellowship program that will support intellectual leadership in Native American communities. The new fellowship program will support 10 outstanding Native Americans who hail from a wide variety of fields and who utilize different modes of expression in communicating their knowledge and work. 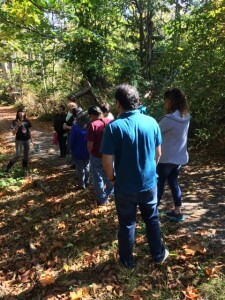 The goal of this fellowship will be to identify, support and convene Native American intellectual leaders who embody exceptional creativity and progressive and critical thinking, and who have the potential to significantly move forward their fields in ways that will ultimately lead to broad, transformative impacts for Native communities and beyond. 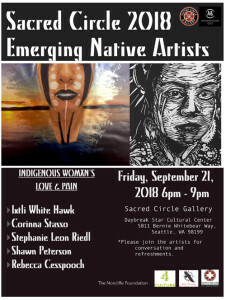 Core to this program is supporting Native individuals who are engaged in the creation and dissemination of knowledge that advances their respective field or area of expertise. For this fellowship, Native intellectual leadership is defined broadly and will include cultural leaders, media makers, scientists, health professionals, academics, curators, artists, writers, and policy makers, among others. The work of these leaders may take many forms, including journalism, visual art, film and video, speeches or sermons, educational curricula, music or theater, formal scholarship or research, public health strategies, legal arguments, fiction, policy analysis, etc. In launching this new program, First Nations will also select and convene an eight-member advisory committee of distinguished intellectual leaders who will participate in program design and selection of fellows. The committee members will be distinguished knowledge makers and knowledge keepers themselves, and they will have deep knowledge of Indigenous culture and broad experience working in and with Native communities. A formal application process will be launched in the fall of 2019. Individuals interested in the fellowship may apply directly or be nominated. Each fellow will receive $50,000 to advance her or his work. The fellows will also gather together three times during the fellowship year to learn from one another. All fellows will be eligible to seek an additional $25,000 to continue their work in the year after the fellowship. To be informed of when the application period opens in 2019, please regularly check the First Nations website, subscribe to First Nations’ emails at this link, or follow First Nations on various social media platforms such as Facebook and Twitter. Matching Gift Challenge for Native American Heritage Month! 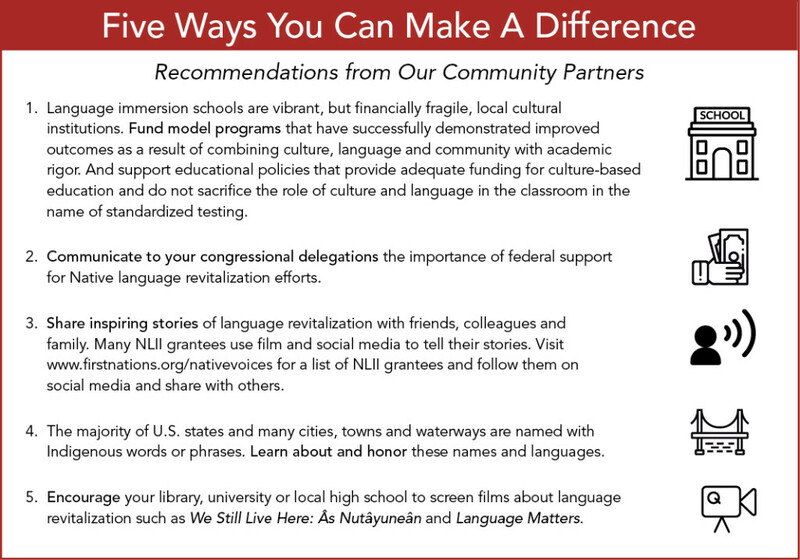 In honor of Native American Heritage Month, First Nations Development Institute (First Nations) has been sharing information about one of our newest efforts that is showing great promise — the Native Language Immersion Initiative. This initiative aims to build the capacity of and directly support language-immersion efforts in Native communities. Because Native cultures and languages are, collectively, key assets for all Native communities, First Nations has long supported perpetuation efforts. This month and going through December 15, 2018, you have a special opportunity to make twice the difference in supporting this important work. The National Endowment for the Humanities has provided a generous matching grant to support even more of these initiatives. So, in honor of Native American Heritage Month, we’re asking good friends like you to help us maximize this opportunity by raising $50,000 for this special initiative before December 15. Your gift of $50 will become $100, $200 will become $400, and so on. Any amount will be doubled! Please Help Us Meet the Match! We hope that you will support it and help us meet our goal of $50,000 to expand this program. Programs like these are proof positive of what is possible when we come together to support Native communities who are passionate about making tomorrow a better day. Click here to view and print a four-page document detailing First Nations’ Language Immersion Initiative. We hope you will share this with your friends, family and local schools. Click here to find a list of our current 12 grantees under our Native Language Immersion Initiative.